Friday 23 of november 2018 starts our Black Friday - Cyber Monday Sale. Friday 23 of november 2018 starts our Black Friday - Cyber Monday Sale. 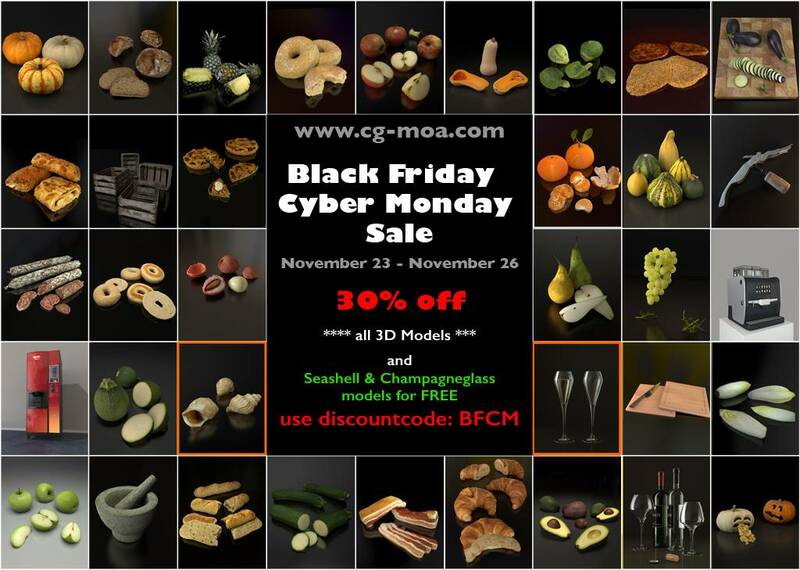 Two fear 3D models and all the other 3D models with a 30 % discount! Don't miss it!